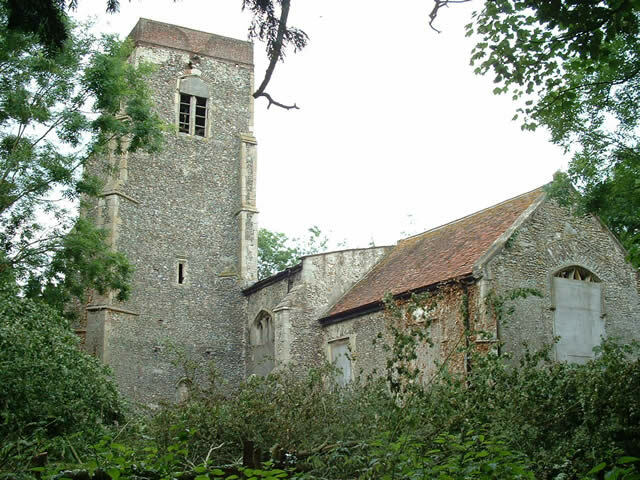 This is the state in which we found St. Andrew's in 2001 and the subsequent restoration. 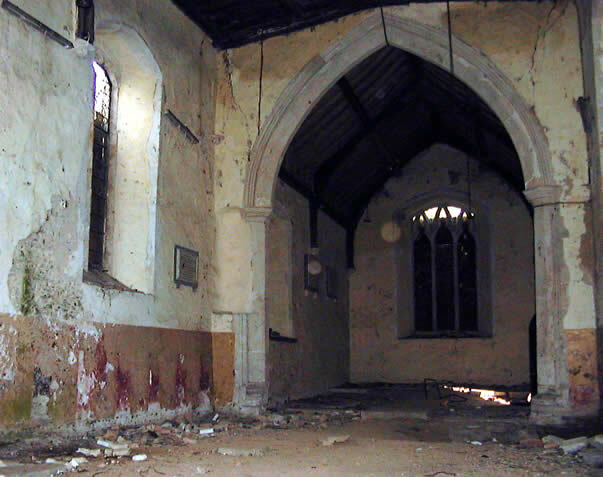 The inside of the church had been completely stripped of all of value - even the floorboards had been taken. However two of the mediaeval chancel stalls have been brought back, thanks to the generosity of the Cottam Will Trust. Other furnishings have been obtained from the Diocese of Chelmsford and elsewhere. 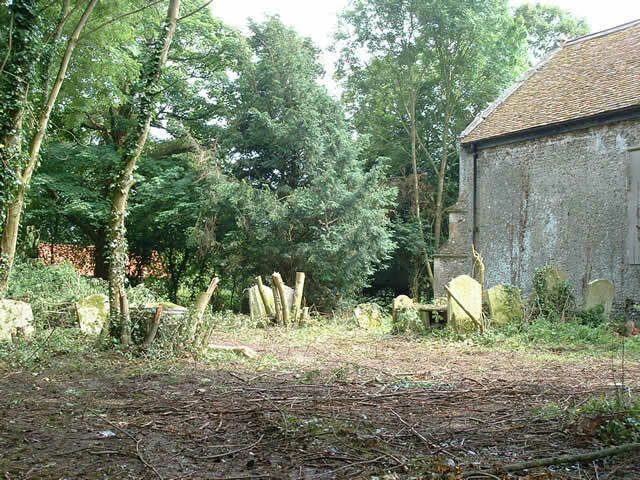 Rescuing the churchyard from years of brambles and saplings has now been achieved. A new layout has been designed incorporating features from mediaeval ecclesiastical gardens. The tower, deemed unsafe in 1976, still stands intact but needed attention to ensure that it continues to do so. 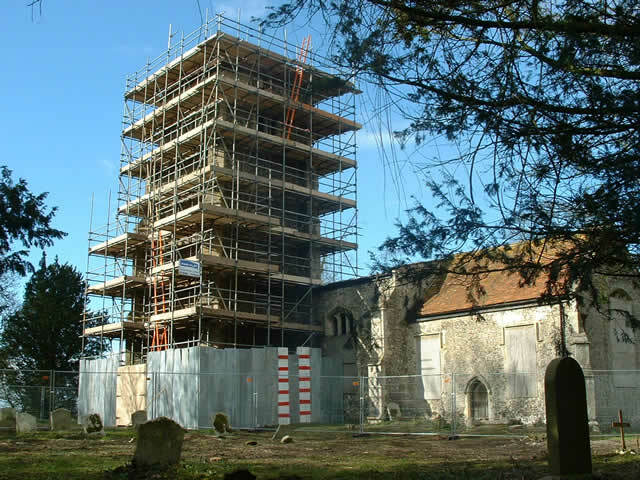 The scaffolders arrived on 1st March 2004 and work on the Tower commended. The builders took 7 months to complete their work and the St. Andrew's Day service at the end of November was held in the Church to give thanks for the restoration of the historic shell.